The most crowded “red light” street in Thailand has closed due to the death of their King named Bhumibol Adulyadei. Moreover, Full Moon festival has been cancelled that makes tourists calling their status a nightmare. After The King named Bhumibol Adylyadei has passed away on 13th Oct, 2016, all entertaining activities in Thailand has stopped. The shops in Soi Cowboy – a well-known “Red light” street in Bangkok has mostly closed except some of them serving for customers. Tourist get used to the image of a crowded and sparkling street with neon lights from bars or restaurants or shops become more quiet and darker. You can feel other’s breath while walking with someone on the famous street in Pattaya. Lady boys (a slang word to call those who are transgender in Thailand) also stop their job and share their sadness to the death of the King in funeral. However, this outlook is not what tourists expected. They want to enjoy an effervescent atmosphere of night life in those most debauched areas in Asia. Liam Pearce – 23-year old man from Wrexham – the Northern Wales has just arrived Thailand in 13th Oct, 2016 and stayed for the last two weeks said “A worst moment ever. I am so disappointed. I’ve book flight ticket, hotel and exchanged money. Now, I don’t have a chance to change it. My friends had left here. They said there are only medicine shops opening at night and it’s hard to find an entertaining place for this time in Thailand”. In fact, some bars and massage shops keep opening to serve tourists. Also, there are some night bars with attractive transgender girls dancing with pole. However, it becomes more quite than the previous time. This quite atmosphere is not only in Bangkok, it is also in other provinces with the same feeling. Even the most important festival is not celebrated at this time. Some tourists feel like crazy when they come to visit Thailand at this time. “It is such a nightmare. My vacation is definitely ruined” – a tourist complains. “Who want to hang out in this time right now? Everything is so dreary!” Michael Dellis from USA said. “I came here twice or three times a year to enjoy the night life in Bangkok and Pattaya. I can’t say that my vacation ruined. But this statement is completely not alright. 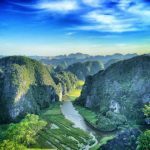 If things hasn’t change a bit, I think that I need to take a new short tour to Cambodia or Philippines for some nights” Christopher Constantinou – a 45-year old tourist from West London – UK said. Besides, many tourist also show their upset feeling because their vacation in Thailand was affected on their personal online pages such as facebook or twitter, etc. “I can’t cancel my flight ticket booking. Thus I have to go to Thailand this time and try to enjoy in this situation” a tourist who own a personal online page named Florence Cook wrote. Chris Tomo said that he felt a little nervous for this next travelling while Ben Stoyles felt lucky because he cancelled at last minute.